Lost Maples State Park is one of Texas’ hidden gems, and in the fall it really comes to life. The leaves on the trees go from green to beautiful orange, gold and red, perfect for getting the obligatory but charming “fall family photo”. A day hike through its leaf-covered trails and babbling brooks will instantly put you in the spirit of the season. Hike in about 1.5mi to the primitive camping area and set up your Roo hammock next to the picturesque pond. Fredericksburg is one of the many quaint German towns in Texas with a lot of history. Take a leisurely stroll down Main Street, enjoy delicious food, go antique shopping or visit one of the various wineries in the surrounding area. Enchanted Rock is only 20 minutes away, so make Fredericksburg your place to recharge with a beer or glass of wine after a long day of hiking and climbing. For some wine, head to Grape Creek and for a cold beer head to Silver Creek Beer Garden. Quail season is just beginning, and South Texas is prime quail territory. If guns are not for you, no worries. Try your luck at bare-handed quail hunting, as shown in the video below. Hunting means delicious game for you to devour. After a day of bagging quail, try this Spicy Seared Quailrecipe from our friend Georgia Pellegrini. Hunting (or foraging at your local Whole Foods) never tasted so good. During cooler weather, nothing warms you up better than some quality, artisan Texas whiskey. One of our favorites: Firestone and Robertson Distilling Co. in Fort Worth, TX. F&R Distilling Co. has a unique history, operates out of a renovated pre-prohibition era building, and produces award winning Texas whiskey. Their corks are each hand made from retired Texas boots, making each bottle one of a kind. Just an hour or two away in Waco, TX is Balcones Distilling, a distillery that offers handcrafted, blue corn roasted whiskey. Balcones prides itself as a realization of a distiller’s dream and has won several notable awards for their whiskey. Tours are available most Saturdays and give you the opportunity to have a taste of some real Texas whiskey. If you’re new to whiskey, fear not. Business Insider has the following tips to help you with anything from pronunciation to proper whiskey etiquette. You’ll fool your friends into thinking you’re a whiskey connoisseur in no time. If you’re in the mood to learn something, head to the Houston Museum District. From the Museum of Natural Sciences to the Contemporary Arts Museum, there’s something for everyone. Take the Red Line to the district to see the city in a different way. Almost every museum is a short walk away and it’s a fun way to get around with a big group of friends. 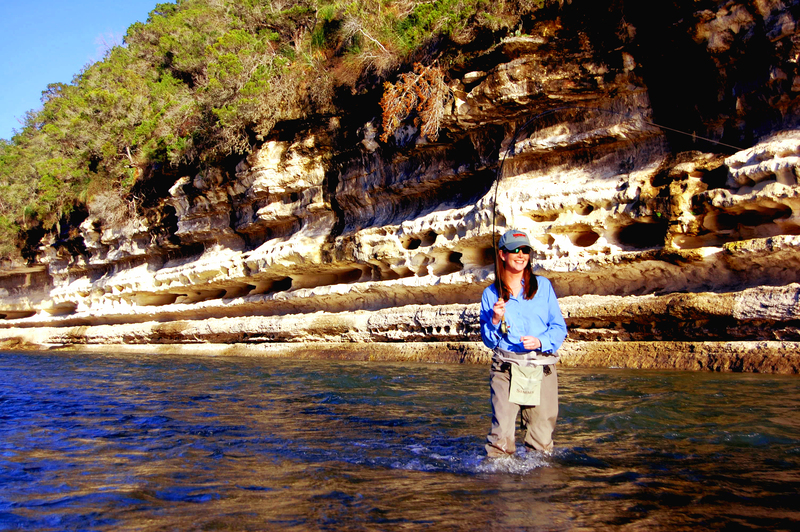 For Texas anglers, fall means fly fish’n time. The Guadalupe River is one of the 100 top trout streams in the U.S., and (if you’re lucky) you may even catch some largemouth bass. You’ll have to wear your waders, but the Texas fall weather is never unbearable, especially under the shade of the beautiful Live Oak and Cypress Trees that line the water. Three flies that should be in your box when you hit the water include the prince nymph, the san juan worm, and the ever-versatile wooly bugger (in olive, black, and white). There are few better places to take in the fall scenery than from horseback. The Hill Country of Texas offers some of the state’s best horse trails, and opportunities to see the rolling green hills. After a day on the saddle, relax next to a campfire and take in a starry night under the Texas sky. You’ll never forget a trip to Big Bend since it’s one of the most majestic national parks. The mountainous terrain begs for landscape photography and its vastness humbles anyone who visits. On your way to or from Big Bend (or hey, why not both? 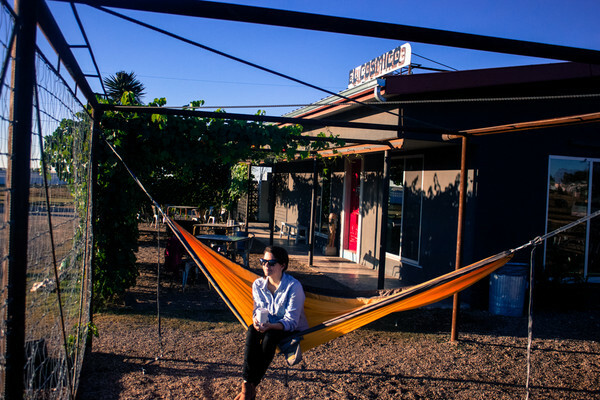 ), spend a night at El Cosmico in Marfa, TX! Accommodations range from tepees to vintage renovated trailers, but you also have the option to pitch your own tent or your own Kammok digs (they have a hammock haven!). Either way, you’ll be remote enough to enjoy a sky full of stars. When you hear the words “art installation” you don’t typically think of 10 Cadillacs sticking out of the ground. However, in Amarillo, TX, that’s exactly what “art installation” is. The starry night sky only adds to the artistic appeal, making it a perfect stargazing destination. Cadillac Ranch is one of those places you have to visit at least once. It portrays the birth and death of the famous tailfin featured on the cars until 1963. And if art just isn’t your thing, you can at least post up in the middle of it for an awesome picture. If you want to get a sweet night shot like the one above, make sure you use a tripod and a hood for your lens to block out any ambient light getting into the shot. Be sure to set your lens to manual focus and use a small aperture, too!